Our today’s lifestyle has forced us to eat junk food. But there are adverse effects of junk food too. 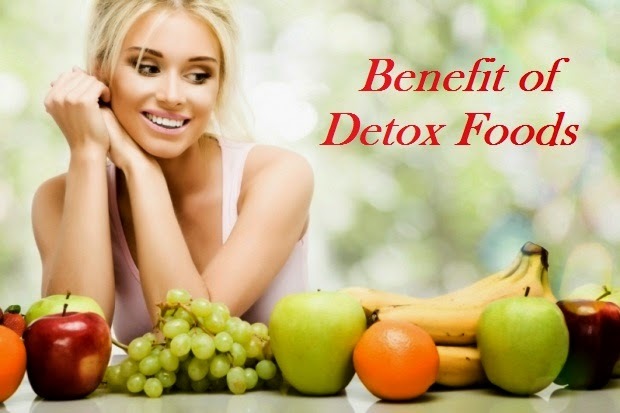 To avoid these consequences, you should intake detox food regularly. Garlic: Garlic has to be considered good detox food due to its antiviral, antibacterial and antibiotic properties. Garlic contains a chemical allesin which increase the production of white blood cells and helps to remove toxins of the body. So you must have to add garlic in your diet. Green Tea: Indians do not start the day without tea. The antioxidants in green tea may prevent you from liver diseases. So you must have habit of drinking green tea. Ginger: North Indians regularly used ginger and garlic in their cuisine. Ginger contains high amounts of antioxidants that increase the power of the body to fight disease. Also it improves digestion and relieves problems like nausea and gas. You can take benefit by drinking ginger tea every day. Lemons: Lemon is a food which is rich in vitamin C. it has antioxidant properties which improves the skin and fights free radicals. Take a glass of warm water and add few drops of lemon juice and drink it in morning. This combination removes toxins from your body and will cleanse your digestive system. Lemon helps to maintain your PH balance. It improves your immune system. Fruits: Fruits has vitamins, minerals, antioxidants and fiber in high amounts. It is very good for your skin, hair and digestive system. You must have to eat any one fruit after meal. They are low in calories and you must include in your diet. Beet: Beet maintains cholesterol level in your body and removes toxins from your body. Beet has good amount of magnesium, iron and vitamin C. You can eat beet as salad, juice or vegetable. Beet is very beneficial for people who have problem of anemia. Brown Rice: Brown rice is full of nutrients such as vitamin B, magnesium, manganese and phosphorus which remove toxins from the body. Brown rice is high in fiber which helps to keep your stomach clean. In addition, it contains selenium which protects the liver and increase the color of your skin.